Sometimes a tooth cannot be restored and must be removed. 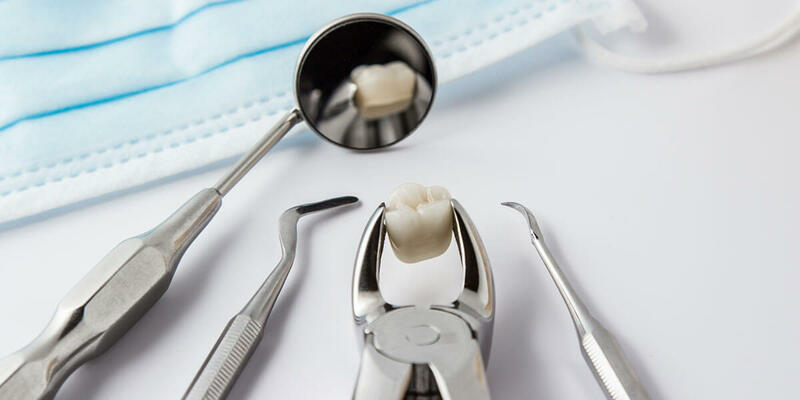 When a tooth is broken or has significant decay, the ideal solution is to restore it using a filling, crown, or other procedure. If restoration is not possible or advisable due to the condition of the tooth, an extraction may be recommended to prevent infection and achieve or maintain oral health. Most extractions can be performed with the use of local anesthesia to numb the area around the tooth. The tooth is then gently loosened and removed. Immediately after the tooth is removed, gauze pads are placed for the patient to bite down on the tooth socket to apply pressure and stop bleeding. Stitches are sometimes needed, and may dissolve or require removal at a follow-up appointment.